Kickstartin' Terror: COBRA Needs Your Help to Rebuild Cobra Island | OhGizmo! Think you’ve seen the last of Cobra? Think again. They’re getting ready to wreak terror once more, but before they can do that, they need to rebuild their secret headquarters that was destroyed by GI Joe. Unfortunately, that’s going to require a whole lot of money–money that the Cobra organization doesn’t have. Rallying behind them are their colleagues Destro and Dr. Mindbender, but they can’t spare that much cash as well. I mean, people managed to raise money for a Veronica Mars movie using the platform; why not use it to rebuild the Cobra’s secret base? 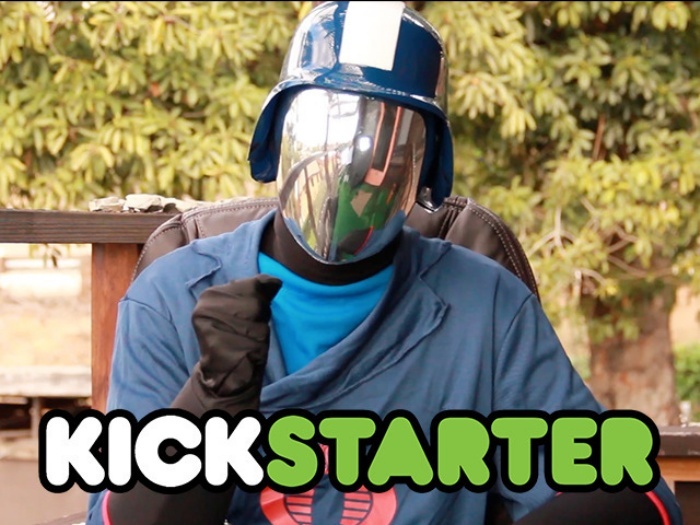 In case you haven’t figured it out yourself, the whole Kickstart Cobra is a pretty hilarious joke that’s gone viral. Obviously, Cobra doesn’t exist in the real world (or does it?) The whole thing was thought up by Los Angeles-based sketch comedy group, Dumbshit Mountain, who set up and drafted the project’s Kickstarter page. Make sure you check the page out on Kickstarter though, because they’ve updated it with a hilarious list of backer rewards.